The available literature on the role of alcoholism as opposed to unwise drinking in injury occurrence suggests that problem drinkers and those diagnosed as alcoholics are at a greater risk of both fatal and nonfatal injuries than those in the general population who may drink prior to an accident. Alcoholics and problem drinkers are significantly more likely to be drinking and to be drinking heavily prior to an accident than others. Haberman and Baden (1978) found among fatalities from all causes that alcoholics and heavy drinkers were more than twice as likely as nonproblem drinkers to have a BAL at the legal limit. 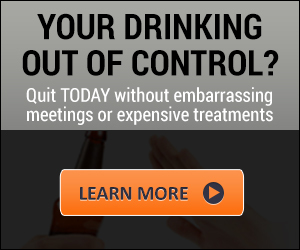 Alcoholics have also been found to experience higher rates of both fatal and nonfatal accidents, even when sober. Analysis of national mortality data found that those who died of injury drank more frequently and more heavily than those who died of disease, and that daily drinking, binge drinking (consuming 5 or more drinks per occasion), and heavier drinking (14 or more drinks per week) increased the likelihood of injury as the underlying cause of death (Li et al., 1994). Data from the general U.S. population found the risk of injury increased with an average of one drink a day for both men and women, regardless of age. The risk of injury also increased with the frequency of consuming five or more drinks a day more often than twice a year (Cherpitel et al., 1995). This suggests that the risk for injury may be increased at relatively low levels of consumption, in which case preventive efforts aimed at more moderate drinkers, who are greater in number, may have a larger impact on the reduction of alcohol-related accidents than efforts focused on heavier drinkers, who are fewer in number. Baker, S. P., O'Neill, B. & Karpf, R. (1992). The injury fact book. Lexington, MA: Lexington Books. Cherpitel, C. J. (1999). Substance use, injury, and risk-taking dispositions in the general population. Alcoholism: Clinical and Experimental Research, 23, 121126. Cherpitel, C. J. (1996). Alcohol in fatal and nonfatal injuries: A comparison of coroner and emergency room data from the same county. Alcoholism: Clinical and Experimental Research, 20, 338-342. Cherpitel, C. J., et al. (1995). Alcohol and non-fatal injury in the U.S. general population: A risk function analysis. Accident Analysis and Prevention, 27, 651661. Cherpitel, C. J. (1993a). Alcohol and injuries: A review of international emergency room studies. Addiction, 88, 923-937. Cherpitel, C. J. (1993b). What emergency room studies reveal about alcohol involvement in violence-related injuries. Alcohol Health and Research World, 17, 162-166. Cherpitel, C. J. (1988). 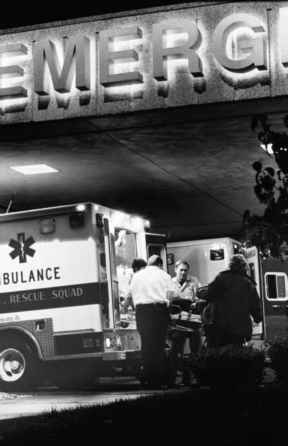 Alcohol consumption and casualties: A comparison of emergency room populations. British Journal of Addiction, 83, 1299-1307. Giesbrecht, N., et al. (Eds.) (1989). Drinking and casualties: Accidents, poisonings and violence in an international perspective. London: Croom Helm. Haberman, P. W., & Baden, M. M.(1978). Alcohol, other drugs, and violent death. New York: Oxford University Press. Hlngson, R., & Howland, J.(1993). Alcohol and non-traffic unintended injuries. Addiction, 88, 877-883. Krug, E. G., Sharma, G. K., & Lozano, R.(2000). The global burden of injuries. American Journal of Public Health, 90, 523-526. Li, G., Smith, G. S., & Baker, S. P. (1994). Drinking behavior in relation to cause of death among US adults. American Journal of Public Health, 84, 14021406. Roizen, J. (1982). Estimating alcohol involvement in serious events. 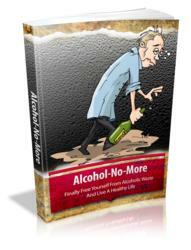 In Alcohol consumption and related problems. DHHS Publication no. ADM 8201190. Washington, DC: U.S. Government Printing Office. U.S. Department of Health and Human Ser-vices(1997). Ninth Special Report to the U.S. Congress on Alcohol and Health. NIH Publication No. 97-4017. "drugs." Although the word medicine derives from a Latin word meaning ''of a physician,'' throughout much of recorded history and even today, "folk" medicine and ''home remedies'' are widely practiced. Early medicines were taken exclusively from nature, and PLANTS are still an important source of medicinal products (e.g., foxglove for heart problems, bread mold for penicillin). Organic HALLUCINOGENIC substances (plants with perception-altering properties, such as peyote and mescaline, and fungi, such as psilocybin mushrooms) have been used in various cultures in the context of religious rituals, with the dramatic visual and aural hallucinations induced being interpreted in spiritual terms. Intoxicating beverages (with alcohol and/or other drugs) also have a long history of use, usually recreationally (i.e., for their relaxing and disinhibiting effects in social situations), but sometimes also for supposed medicinal purposes, as in elixirs and tonics that were marketed as patent medicines in the United States in the late 1800s and early 1900s. With the development of modern chemistry and scientific growing methods, there has been an increase in the number, types, and strength of both organically derived (principally MARIJUANA) and chemically synthesized (laboratory-created) substances, which has prompted the implementation of measures to regulate their processing or manufacture, distribution, and dispensing (by pharmacists and physicians). In the United States, this regulatory scheme is called the Federal CONTROLLED SUBSTANCES Act (Public Law 91-513, H.R. 18583, October 27, 1970). This act, which is regularly updated, classifies substances into five categories according to the potential for abuse, accepted medical effectiveness and use, and potential for creating physiological or psychological dependence. The Controlled Substances Act is the basis for federal and state drug laws that specify the conditions making specific substances illicit (illegal) drugs and define differential criminal penalties for their manufacture, distribution, sale, and possession. Substance abuse, for the purposes of this discussion, is defined as the use of illicit drugs, the misuse of medicines (particularly those which must be prescribed by physicians but also those which are available Over THE COUNTER). Accidents and injuries from the excessive or prohibited (e.g., underage) use of other legal drugs, such as alcoholic beverages, are not included here. There have been increases since the mid-1960s in both substance abuse and public awareness of it. Here the emphasis will be on an aspect of substance abuse—the unintended, negative consequences— that is relatively well known to researchers but less familiar to the general public and their representatives in government.